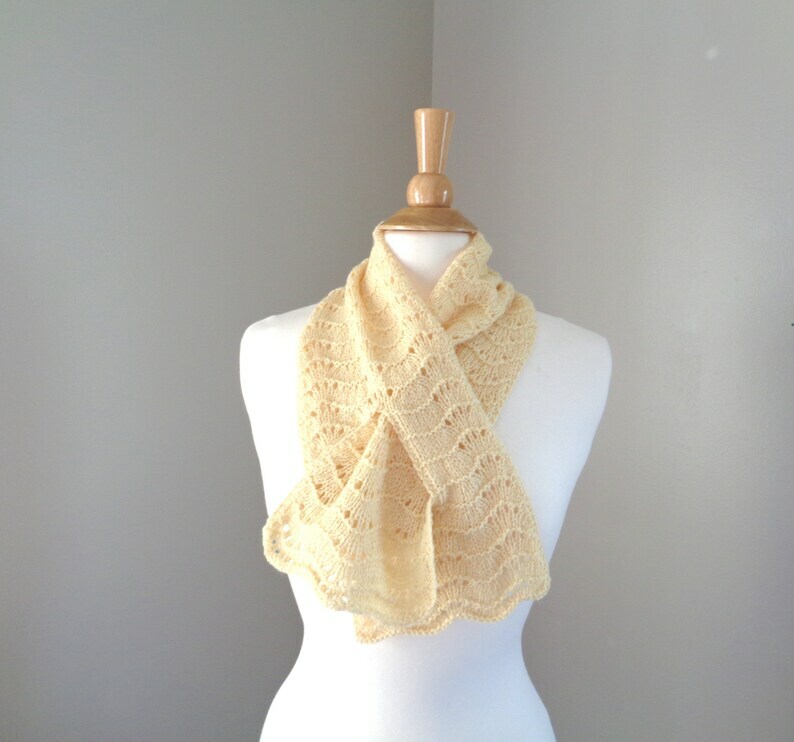 This lovely lemon yellow scarf is hand knit in a pure cashmere yarn, it's super light weight, downy soft with a delicate wavy scallop pattern adds a nice interest. Comfortable and practical with the easy pull through style that stays in place and is so cute. I rarely find yellow cashmere, so this one is extra special. The scarf took 3 days to complete, many hours of fine work go into the creation of Girlpower scarves.